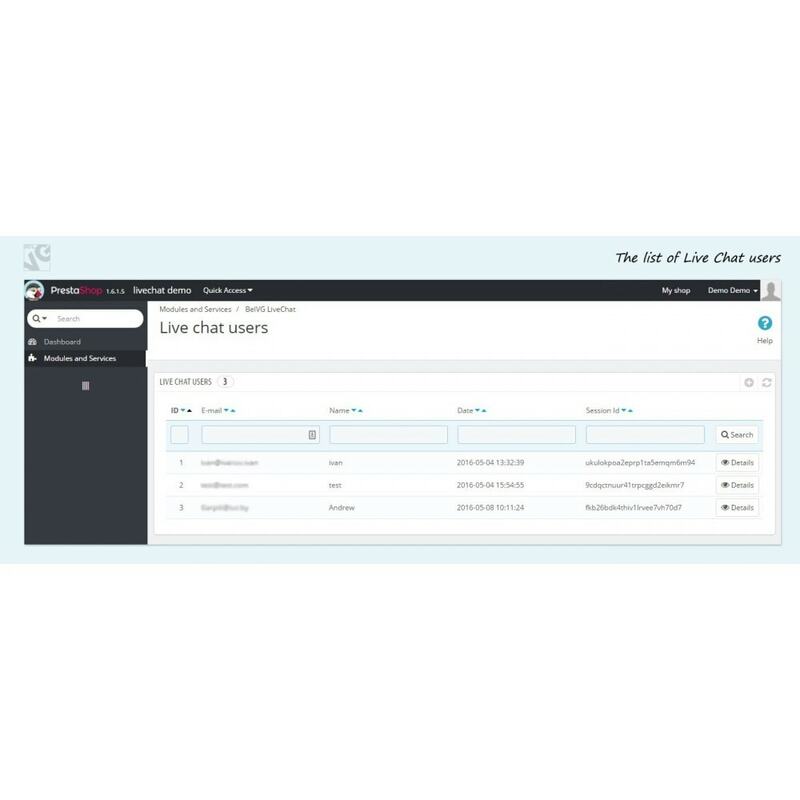 Use PrestaShop Live Chat module to organize two-way communication with your webstore visitors. 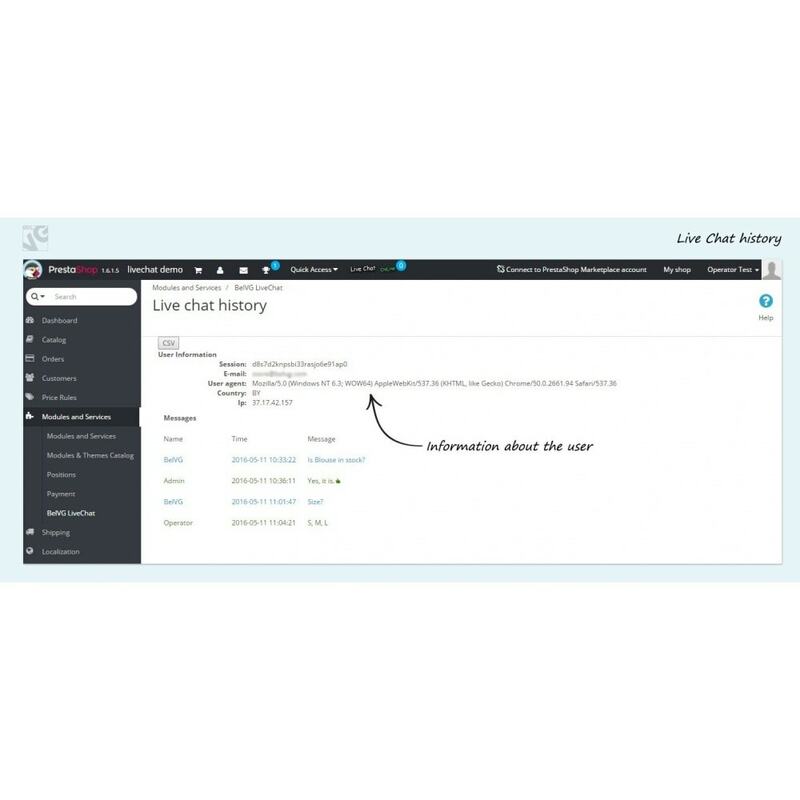 When users have something to clarify, they will refer to a Live Chat tab. Operator will immediately receive a notification and provide a response. 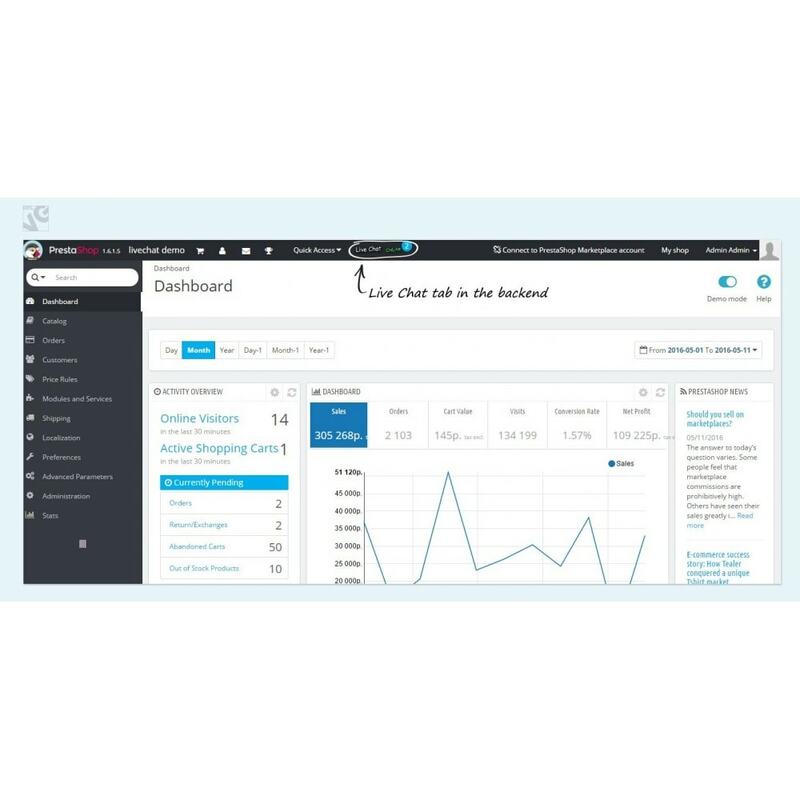 A Live Chat tab has a configurable design, so you can easily make it look like part of your online shop. You can be sure that you write everything about your products, but customers will always have questions. And they want to receive answers as soon as possible. 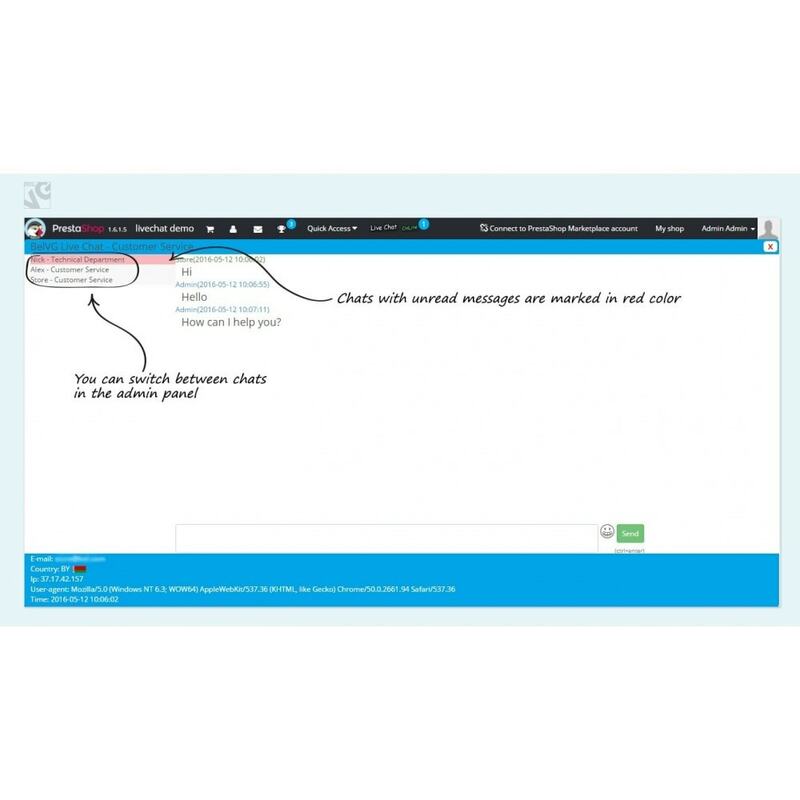 The Live Chat module helps you to satisfy this need and don’t leave users puzzled and confused. Customers will definitely appreciate your care, and your sales will make the jump. 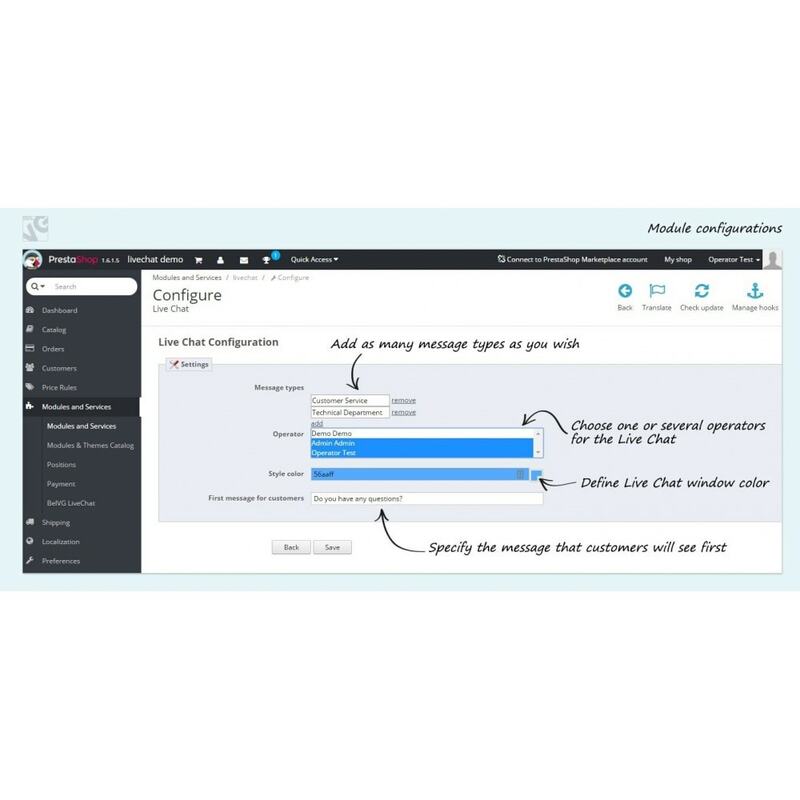 The module has a user-friendly interface that improves chatting process between visitors and an operator. If the operator is offline, users may leave messages, which will be stored and displayed as soon as the manager appears online. 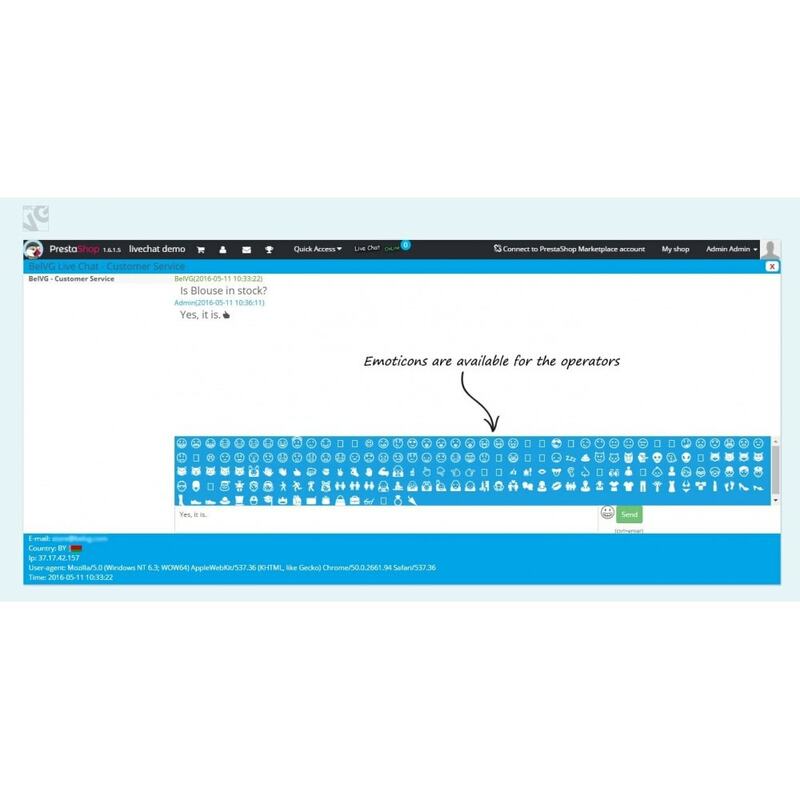 Customers configure the style of the frontend chat tab according to their taste. It is important for customers to know, that behind every ecommerce website are real people. 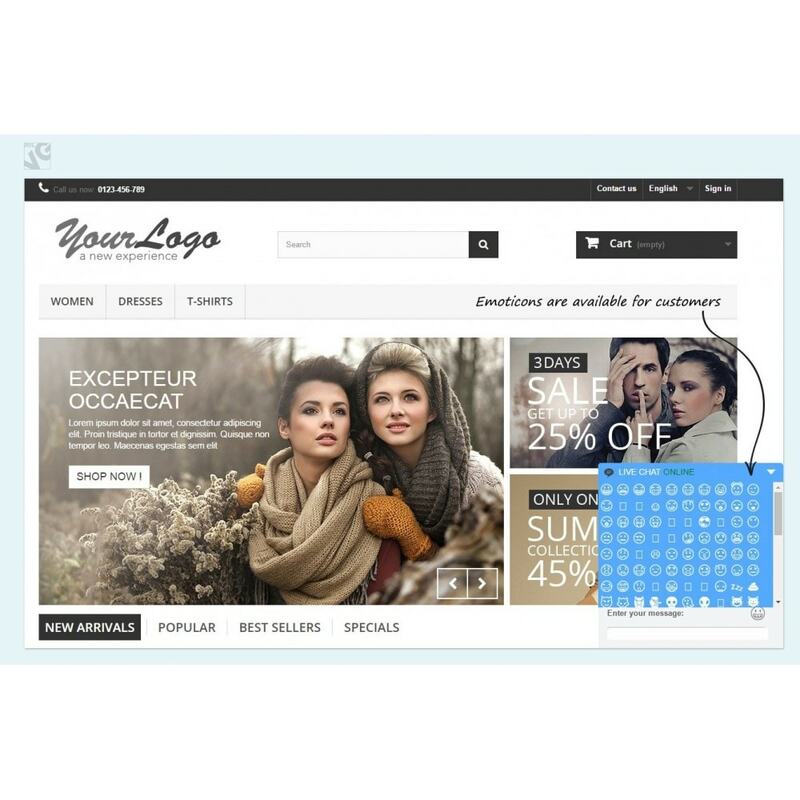 The PrestaShop Live Chat module is the easiest way to show it. You can help buyers choose the right products and increase the average check by offering additional services and products. Several operators can participate in one chat. 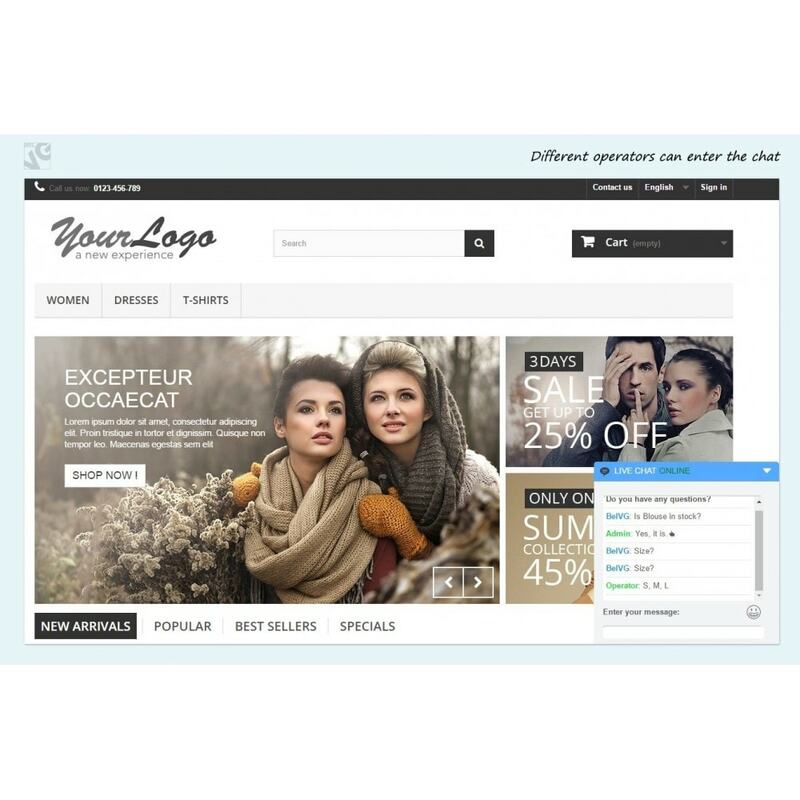 A truly advanced autocomplete module that can improve usability of any online store. The moduleshowsa lot of data relevant to typed wordslike attributes, tags, categories, products with pictures and descriptions, and even links to text CMS pages.